HNB Garhwal University MA 1st & 2nd Year Back Paper Results Declared, HNBGU Results 2014: -HNBGU, the Hemwanti Nandan Bahuguna Garhwal University is the central university of Uttarakhand. Every year many students are studied from their and the University provides various PG/UG, Professional, Vocational courses to students. The Head Quarter of the Garhwal University is situated in the Srinagar Garhwal Uttarakhand. So let me come to the main point about the Back paper results. So as of now the University has declared the MA (Master of Arts) 1st & 2nd year back Paper or Improvement exams results are held on 2013. So now all the students can check their results from the official website of the HNB Garhwal University. You can also check your results from here. So check below for more details about how to get your results easily online here. Here I am giving you a result link by which you can easily check your MA 1st and 2nd Year Back Paper results. So just click on below given link and then you will be redirected to the results page after that write your roll number on given section and click to submit. The finally you will get you results. 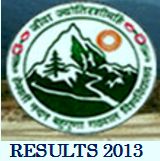 For more details and query regarding results then you may also contact us via email at onlineuttarakhand@gmail.com. Click here to get your MA Back paper results 2014. Stay connected with us for more updates about various exams, results, jobs and news about Uttarakhand. You can also follow us by our site and Google+. And you can also like us on Facebook to get our all the updates on your Facebook wall.